LISP your MESH to Shape! 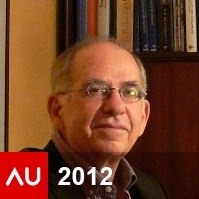 My class in AU2012 deals with managing MESH objects through AutoLISP. MESH objects, aka Subdivision Surfaces are among the features added recently to AutoCAD® software. These entities are exposed in the classic entity list format. So, our good old AutoLISP® can be used for creating and modifying them. By calculating the coordinates for their vertices from different math formulas, we can create an unlimited variety of 3D shapes. By smoothing these meshes, converting them to surfaces and solids, and applying the different surface and solid editing tools, we can explore a vast universe of 3D forms. These forms can be used in other Autodesk® software like Revit or MAX for the development of new design concepts. Understand, load, test and execute AutoLISP code. 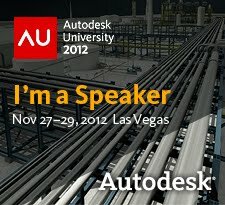 Automate 3D Point of View and Visual Styles. Understand the structure of MESH DXF group codes. Create and modify MESH entities through AutoLISP programming. Understand and apply different AutoCAD 3D object conversion an edition commands.